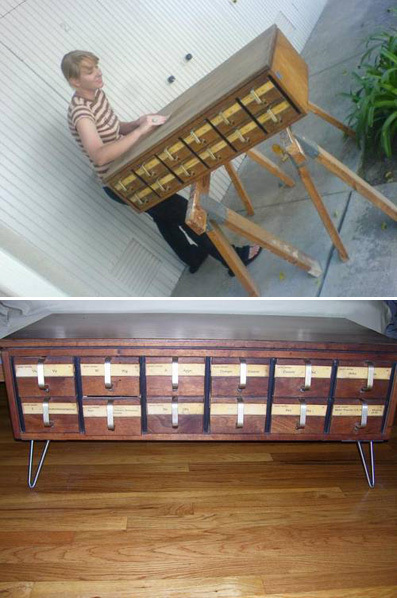 Craftster user Summerswann scored a vintage card catalog at the thrift store ($7! Can you believe it?!) and turned it into a stylish coffee table with a bit of elbow grease and a few table legs. Great makeover!